Stay up to date with the latest and greatest by joining our mailing list. Everybody needs a pair of sunglasses at some point, right? So we might just as well make sure that consumers have access to high-quality designer sunglasses at affordable prices. That has been the philosophy of Olympic Eyewear since our company was first formed in 2006. Over more than 10 years in business, we have taken an innovative approach to selling wholesale sunglasses to our retail clients. 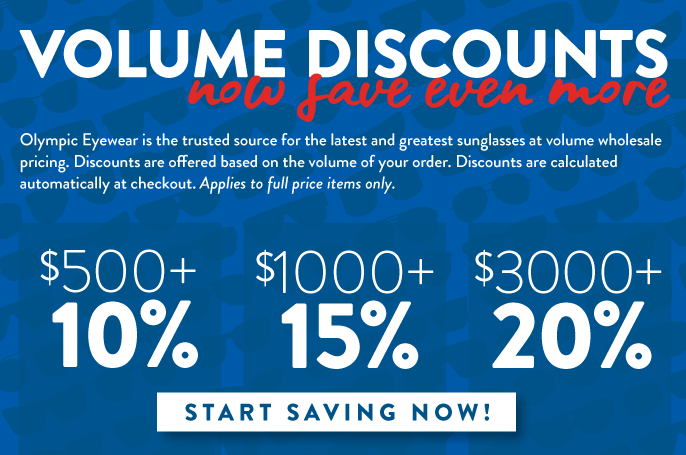 As a result, we have become one of the top distributors of discounted bulk sunglasses in the U.S.
At Olympic Eyewear, we believe strongly in the concept of value. Our products represent the equivalent of high-end designer sunglasses at a discounted price. 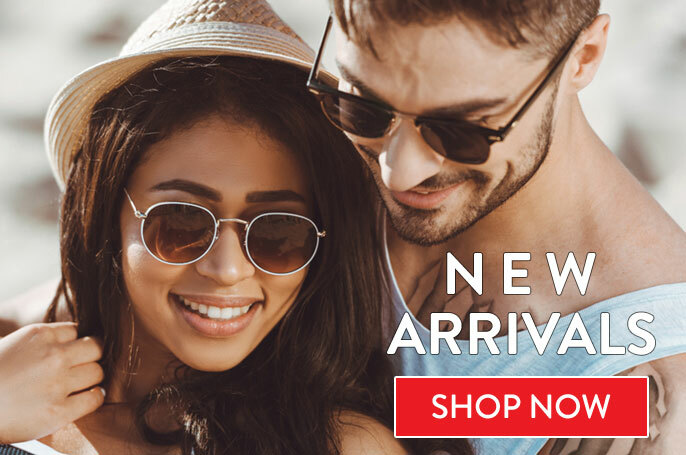 The wholesale products we offer are original designer sunglasses that feature better quality than replica products known to make it to market with no branding or authenticity. There are a number of other things that set Olympic Eyewear wholesale sunglasses apart from the competition, though. For example, other wholesalers employ a strategy of buying large quantities of sunglasses from various factories and redistributing them to retailers. They do not invest significantly in branding, design, manufacturing, and quality control. Instead, their strategy looks a lot like someone shopping at the mall. They just go looking for products that catch their eye. Our strategy is quite different. Olympic Eyewear products are created using a strategy that starts with a brand name. Brand names serve to attract the attention of the target markets our clients are after. Furthermore, branding is often tailored to specific customer needs. Manufacturers use branding to inform consumers about the product they are buying. As a wholesaler, the Olympic Eyewear brand is one of the few discount brands recognized around the world. Our approach to branding involves individually creating brand names for each model we introduce. This includes a unique logo and some sort of recognition factor that will make that particular brand attractive to consumers. The design work associated with each product is intended to enhance the appeal, appearance, and brand recognition of that product among customers. Branding alone is not enough to make Olympic Eyewear one of the most recognized names in wholesale sunglasses. Therefore, we have made a commitment to market research. Every new model of designer sunglasses we create is based on market research and our knowledge of current trends. We achieve individuality with each new model by applying key elements of design to complement brand name and logo. Multicolored print patterns are just one example.  Our design team focuses on every part of a particular model of sunglasses to ensure a cohesive presentation that reflects market research data. Our commitment to market research allows us to create bulk sunglasses that consumers actually want. They like what they see, they buy what they like, and our retail clients benefit from strong sales as a result. Finally, the Olympic Eyewear manufacturing process is not left to chance. All stages of manufacturing are strictly supervised to ensure the best possible quality. This includes material purchasing, subcontracting, and quality control. We insist on complete manufacturing transparency to ensure the best interests of our brand and the high-quality wholesale designer sunglasses attached to it. As a retailer looking for wholesale sunglasses at discounted prices, you can rest assured that our philosophy goes well beyond just offering a low price point. Olympic Eyewear strives to offer the kinds of discount designer sunglasses that our clients can have confidence in. You will enjoy selling our products to your own customers who appreciate quality and reasonable prices. In the end, it means greater sales and profits for you.